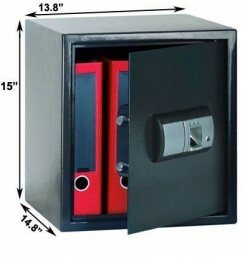 Perfect for office files or larger personal items. 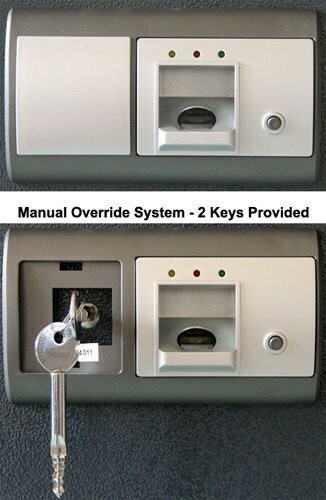 Fast & easy operation, even in dim light conditions. 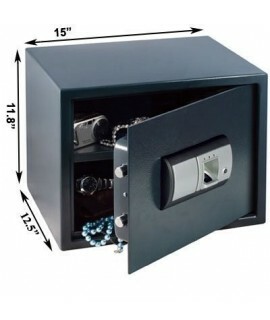 This safe gives a lot of bang for the buck. 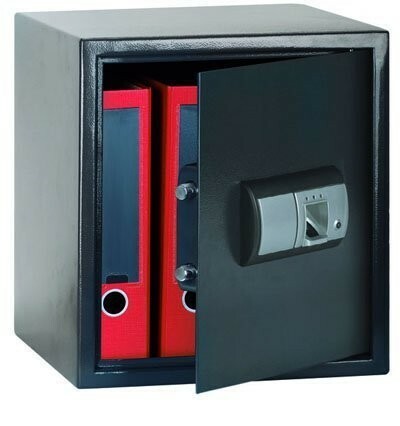 Easy to set up and use, nice and spacious, appears to be well-built. 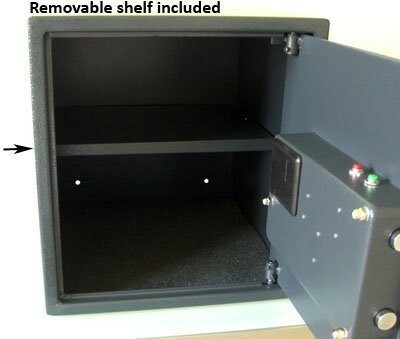 Removable shelf allows for flexibility in configuration so you can efficiently store a few large items or many small ones. 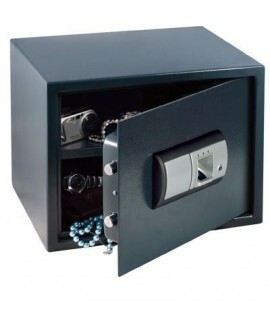 Have been using the safe for two months now without any problems. 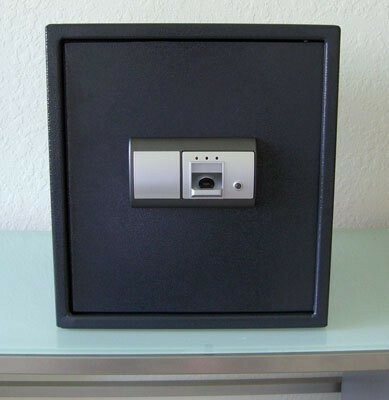 The only thing I would change is to give the safe a "silent" mode. 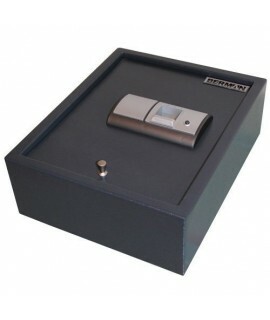 As it is, it beeps every time you use the finger sensor or open or close the door. Not a big deal for some applications, but if you need to open and close your safe discretely (i.e., so that people in the next room don't know what you're doing) this might present a problem. 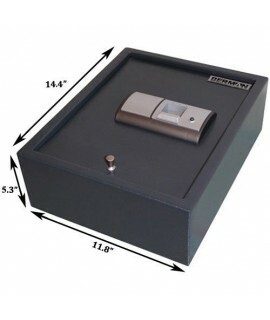 Nevertheless, overall a quality safe at a good price that does what it is supposed to do. Would definitely buy it again. 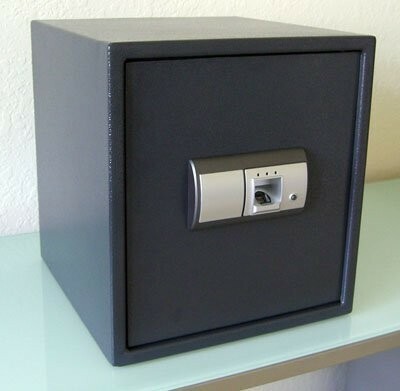 I just received the Safe this week. Very easy to set up and use. 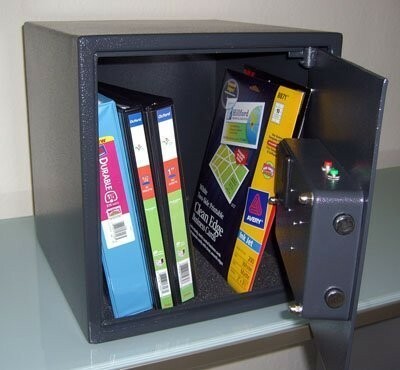 The scanner lights up so you should be able to use in the dark. 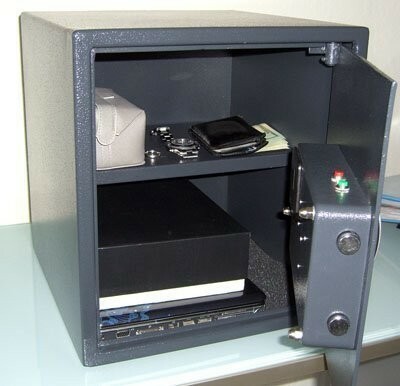 I recorded my finger print 15 times, holding it in different locations on the scanner, so wherever on the scanner I palce my finger it will open. It works very well.